Station Hollywood: Kumar Shanu gave exceptional interview before Devshankar Halder. Kumar Shanu gave exceptional interview before Devshankar Halder. Kumar Shanu gave excellent interview in Zee Bangla Happy Parents Day Program. 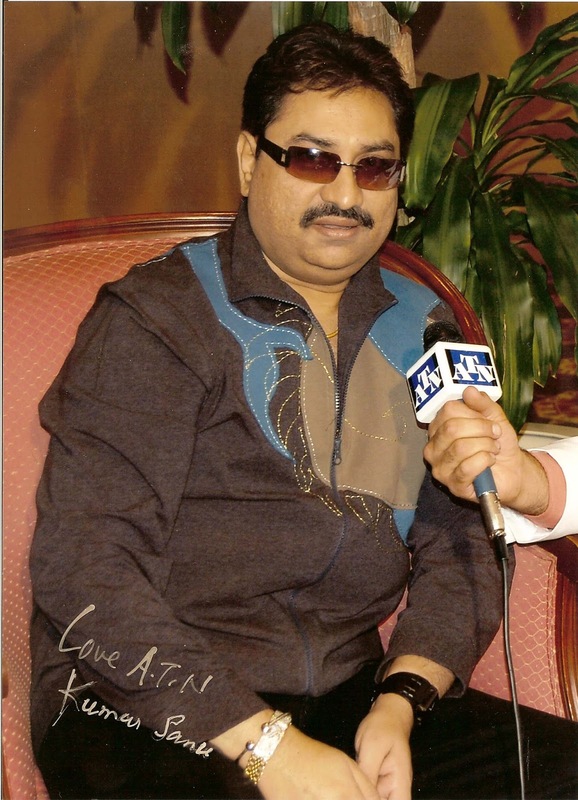 Kumar Shanu, the successful Bengali singer was the guest in the program Zee Bangla Happy Parents Day on 24th April, 2015. He gave a splendid interview before Devshankar Halder. Kumar Shanu firstly appreciated Zee Bangla’s effort to organize a great program which pays tributes to parents of different individuals. There had not been any program like this before. He then said that he had seen many people worshipping different Gods by using flowers, fruits and incense sticks. But he realized that there is no bigger God than father and mother in life. So he worshiped his father Kedarnath Bhattacharya and mother. He said his father Kedarnath Bhattacharya was a great Bengali singer. But he was very strict person. He got a lot of beating in his childhood. But he understood his father’s love for him. When Shanu became a superstar in Mumbai between 1989 to 1995 he took his father and mother in helicopter and showed every part of Mumbai flying at low distance. He took his mother in flight and when she held his hand once the flight took over, he said the memory was so grand. He said whenever his father used to scold him in the morning, when he returned back at night he used to wake up Shanu and give him rasogolla. Shanu could realize the immense love of his father and mother in life. He said that he grew up in extreme poverty. But he rose to fame with the blessings of father and mother. He had only one grief that he could not save his parents when they were hospitalized. He himself was not a doctor. He spend money for best treatment. But lifespan is determined by God so he could do nothing. He also said that whenever his father used to ask him to help a poor person he did so. Once his father asked him to pay a needy person one lakh rupees. He did so. In the program the two old gentleman and lady were neighbours of him, not his own parents. He played for them. They had a daughter who lived at a distance. Both the old persons lived in an old age home. Shanu gave right answers one after the other and earned money for the medical treatment of the these parents and tour of Goa for the old persons. Shanu sang a number of his hit songs including “kuch na kaho kuch bhi na kaho”, “tujhe dekha to yeh jana sanam”, to name a few. The old couple blessed Kumar Shanu. Dev Shankar Halder said the new generation should learn a lot from Kumar Shanu.